The 4 P's uses a creative mix of real-world case studies and scriptural analogies to identify with participants and help you measure your 'got it right' factor. 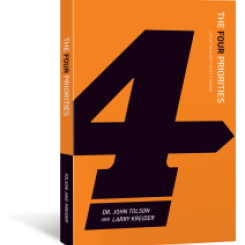 You will find answers to tough questions, and find a pathway to achieving the following of four priorities which characterize a successful, balanced way of life. You can expect to confront life's voids, challenges and learn how to 'get it right' through a personal, progressive commitment to Christ, self-evaluation, relationship building, and community connections. The group uses a biblical-based workbook, which requires reading on your part, and discussing questions from your weekly readings with your group.